The beginning of the new year is a time of great significance and the magnificent promise of fresh new beginnings. The beginning of the new year is a time of great significance and the magnificent promise of fresh new beginnings. It is when we typically put pen to paper and create a resolution list of all of the the larger-than-life things we want to accomplish. Each year, unbeknownst to me, I was setting myself up for substantial disappointment. I was in a state of disillusionment in which I was over-promising to myself and under-delivering. By the second week of January, I would invariably realize that making my resolutions a reality was unrealistic and I would completely abandon my intent. Last January I finally decided it was time for a change in the way I perceived my resolutions and decided to create and implement a new strategy. This new approach completely amped up 2016 for me and made it a year of happiness, fulfillment and growth. I essentially got honest with myself by asking myself questions that would help me to set intentions that were clear, realistic and exciting. Ask yourself these essential questions to make 2017 the year that you recommit to your goals and take the steps to make them a reality. Get clear about your objectives for the new year and the meanings that they hold for you. Visualize what you want your life to look like one year from now. How will you spend your time? Who will you be surrounded by? Be sure to focus on images and ideas of what you DO want to call into your life. So often, in attempting to put forth our ideals, we identify all of the things we do NOT want causing great confusion to our subconscious mind. This is how we stay stuck in past patterns and when we start calling in more of what we don’t want in our lives. Clarity is key in holding your vision. If you want to make any form of lasting change in your life, it is essential that you get honest with yourself and focus your energy on creating goals that are realistic and palatable for you — today. We all have those enormous goals of taking the vacation of a lifetime or creating our dream business. Before creating your list, ask yourself this: What are some small yet meaningful steps that I can take this year to make those larger goals become a possibility in the long term? Set yourself up for success so that you stay motivated and can commit to ultimately staying on path. Once you have identified those smaller right actions, make a conscious commitment to them daily. Never underestimate the significance of consistent subtle movement in the right direction. So often we get so caught up in the idea of the resolutions themselves that we forget about how we truly want to feel in the new year. I invite you to ask yourself what the feeling is that you are trying to create for yourself by making your ultimate vision a reality. Write it down next to the resolution so that while you are moving towards your goal, you are also taking every opportunity to create that feeling in this moment whenever the opportunity is available to you. In seeking that country home, the feelings you may be seeking are freedom and abundance. Chances are that if you cannot somehow create that feeling in the present moment, you will not recognize or experience it when it is right in front of you. Imagine and create the possibility to feel abundant and free on a daily basis as you move closer and closer to your ultimate goal. Ultimately, what we all want is to feel good in this moment. You hold the power to reside in a consistently fulfilling state of your choosing. In making lasting and meaningful change, success is magnified when you are held accountable to your commitments. Hiring a life or a business coach can be instrumental in guiding you to your ultimate vision. Knowing that each week, you will be held responsible for the transformations that you have committed to keeps you motivated, diligent and on path in this process. Creating an accountability partnership with a friend or acquaintance where you each consistently hold each other accountable and motivated is another viable and accessible option. This mutually beneficial relationship can really elevate you and keep you both aligned with your mission. How will your year begin? Prepare yourself for complete victory this year by making an honest commitment to your growth. Small daily progress can create massive change over time. Stay clear, remain on path and consistently tune into the feelings you are trying to create through your resolutions. Commit to experiencing them daily and unconditionally. Stay connected and accountable by sharing your resolutions with me in the comments section below — I would love to hear about how you choose to create lasting change in 2016. 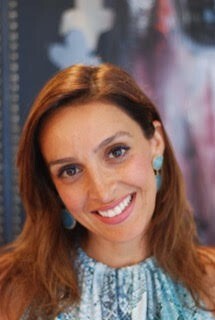 Melody Pourmoradi is a Women’s Life & Wellness Coach at Life Evolutions. She thrives on supporting women to nourish themselves mind, body & soul to become the best version of themselves. She currently lives in NY with her husband and her beloved twin daughters. In her newest passion project, she is creating a GiRLiFE Empowerment training for mothers, coaches and others who are on a mission of empowering young girls to live a life of happiness, peace & success. For more information about Life Evolutions & GiRLiFE visit www.lifeevolutionscoaching.com. Originally published at www.huffingtonpost.com on December 18, 2016.